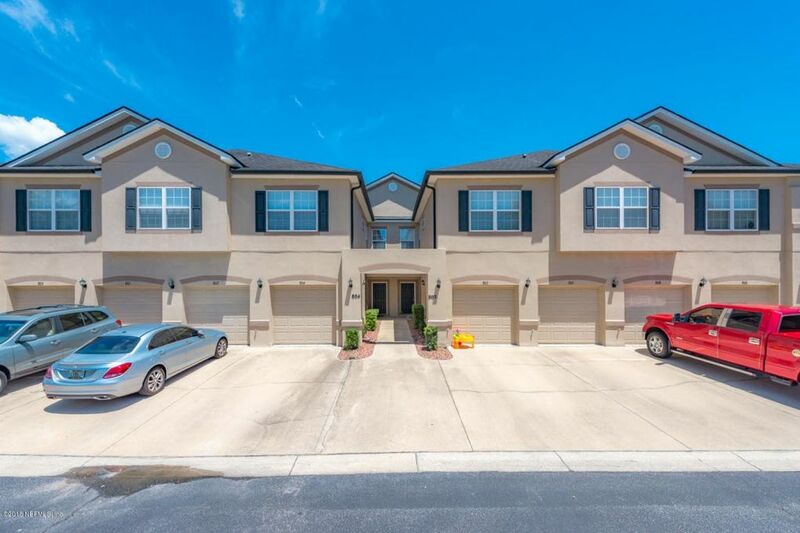 3 Beds 3 Baths 1 Partial Bath 1,779 Sq. ft. This one won't last - the most popular floorplan in Hammock Grove! 3 bedrooms w/downstairs flex room! Freshly painted and new carpet throughout! Fully equipped kitchen, breakfast nook, pass thru to dining/living area overlooks grassy area. Upstairs features 3 good sized bedrooms w/2 bathrooms. Laundry area is upstairs for convenience. Seller is offering one yr home warranty 2-10 $520 with acceptable offer. One car garage allows you to stay covered getting in and out of the home. Gated community that offers its residents access to Kernan Forest's amenities - pool, splash park & playground included! Centrally located to Beaches, NS Mayport, JIA, I-295, dining, shopping, retail & St John Town Center. Perfect first time home buyer or investor! Sorry no FHA! Directions: From Atlantic Blvd, head north on Kernan Blvd, t/r on Kernan Forest Blvd (Kernan Forest subd), 3rd right off roundabout. Once thru gate, turn left & follow to end, Bldg will be at the end of road.